Marc-Henri Cykiert is a guitarist and composer of music for a large number of shows. He is largely inspired by the music of central Europe: Yiddish themes, ghetto songs, Slavic melodies. He reinterprets them as contemporary music, adding rhythms from Yiddish and Gypsy music, Indian Raga, jazz harmonies and twelvesound series, together with a certain form of improvisation. 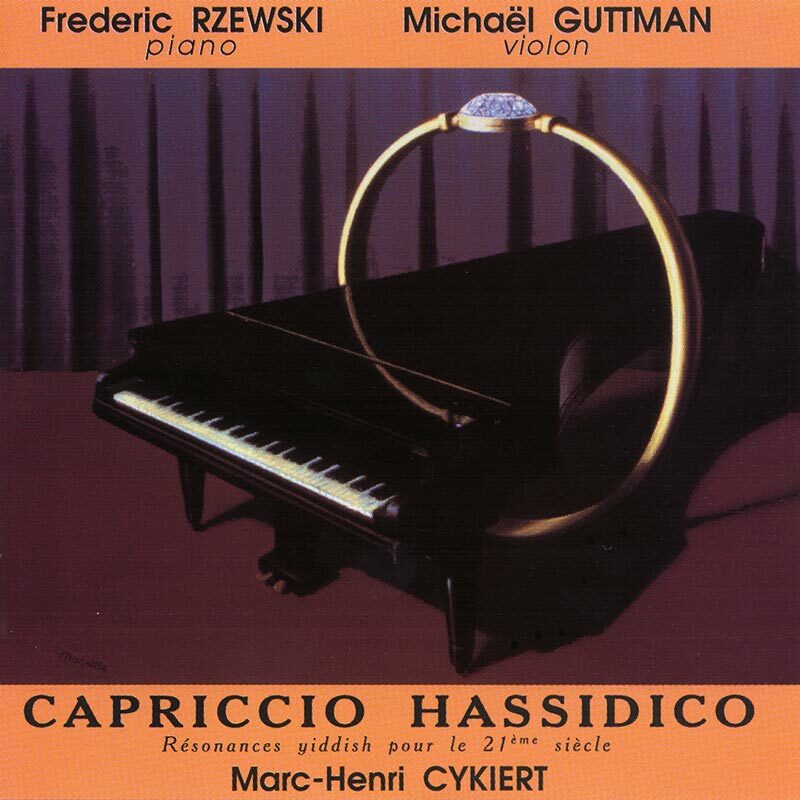 Frederic Rzewski and Michaël Guttman interpret his music on this recording. Rzewski is a renowned pianist in Europe and the United States, a composer and a specialist in contemporary music. Guttman is a former pupil of New-York’s Julliard School and professor of violin at the Rotterdam Conservatory.